I have never been to Chile (or South America for that matter), and Bauda’s Sporelights is claiming to be inspired by the native landscapes of this South American country. So, on the surface anyway, listening to Sporelights might serve as a cursory introduction to Chile. Yet, to think that the album would be some simple incorporation of South American melodic tendencies could not be further from the truth. In fact, while fantastically full of imagery, Sporelights, to me anyway, has quite a bit of the non-ethnospecific general appeal, and is a lot more of a kaleidoscopic representation of various junctures of man, nature and other things I can’t even comprehend. It was a ton of fun, while listening to these involved progressive artsy rock tracks, to decipher why Bauda decided to give a composition a certain name. Just take the opener Aurora, for example. Spastic keyboard loops are trying to break out from under groovy percussion, just like a new day sun is trying to emerge from the clouds. And then, at 1.5 min mark, boom! The rush of sunlight brings on a melody you can make out pretty easily, and it tends to sound ominous at times, the uncertainty of what a new day will bring. Another example is definitively titled Tectonic Cells. Pulsating encroaching bass is a centerpiece, with a major earthquake closing in around 3.5 min, the fallout after it being shrill and nervous. Being used to earthquakes is a part of life in Chile, so I guess that composition may be region representative after all. 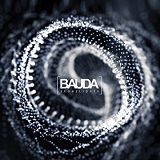 That being said, I was very curious how Bauda would describe War in the eponymous track. To them, this scourge of mankind is a steady emptiness, mirthlessly growing into a hymnal cathedral-like experience. On Sporelights, Bauda, a child of Cesar Marquez, grew into a full lineup, also enlisting the help of Rene Rutten (The Gathering) as a producer, and created a very involved non-linear progressive art rock album. At the same time they tried to cover a lot of bases, various songs reflect different genres, but kept things on a very personal level. While the compositions I attempted describing above were more abstract and diffuse, Asleep in Layers is an electronic laden Depeche Mode-like rock, and the title track is also a lot more upbeat and rhythmic, trying to rock, in a way some of the late Yearning records did as well. The title track even has quick percussive bursts, which is practically explosive stuff for Bauda. The vocals on Sporelights are present very judiciously, not on every track. But when they are, even when soaring to guitar supported heights in Vigil, the vocals maintain a touch of childlike innocence and naiveté. Sporelights is an album to play to your more progressive or even non-metal inclined sophisticated friends. You are bound to score points showing that instrumental depth and involved song structures is something a metalhead is not averse to by any means.